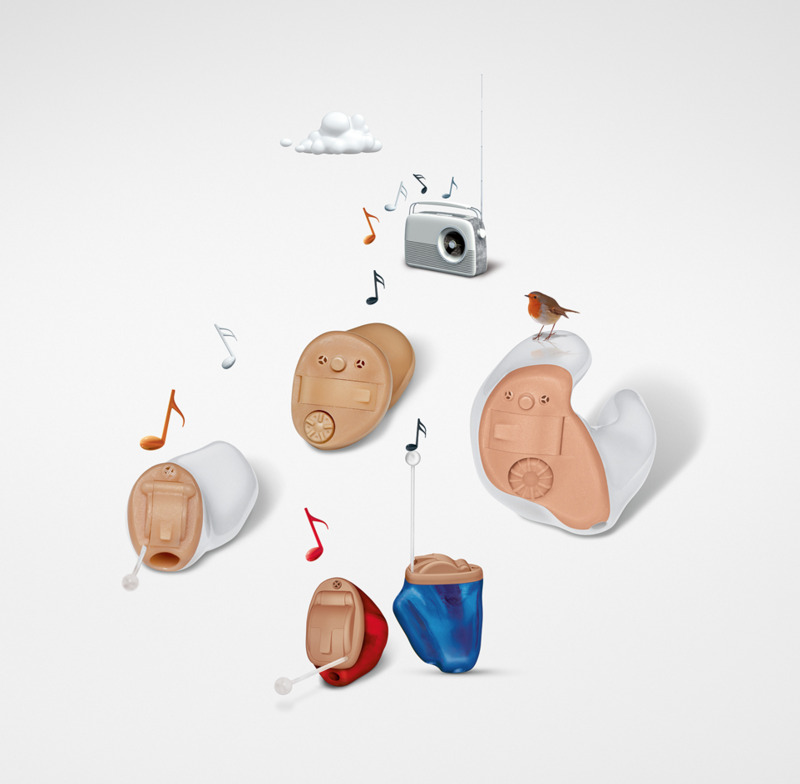 Hearing aids are sophisticated micro-electronic instruments, and require proper care. They must be checked daily for wax blockage, or debris. By devoting a little time to the care of your instruments, you will be able to benefit from the amplification they were designed to provide. It is best to clean your hearing aids in a well lit area; preferably on a clean desk, or table. If you do the work over a towel, the hearing aids will not slide off the table while working on them. Each manufacturer provides a cleaning kit with purchase. These kits contain a special brush, and in some cases, replacement wax filters. You will be instructed as to correct way to use the cleaning tools. Non-Alcoholic wipes will easily clean wax and oil off the surfaces of your hearing aids. Do not use any kind of strong household cleaning agents, as they may dull the highly polished surfaces. It is important to get into the habit of putting your hearing aids away in the same place after you are done using them for the day. It is easy to misplace them. On top of a dresser is appropriate, but keep them away from direct sunlight. Do NOT store them in a bathroom. The best way to make sure your hearing aids are turned off, is to open the battery drawer. It is not necessary to physically remove the battery. If you are going to replace a battery, be sure your hands are clean, and dry, and put the new battery in exactly the same way as the old battery is in. If, while wearing your hearing aids, they are likely to absorb moisture from your skin, I will advise that you store them in a special moisture absorbing container. This will insure that all moisture is removed from the circuits. The best way to check for a problem, is to invest in a very good magnifier, preferably with a light, and examine the openings carefully for the presence of earwax. This is the most frequent reason for a hearing aid to go dead. Also, you should make use of your cleaning tools on a nightly basis. Consistency is the key to good performance. 1. No sound...check the tip of the instrument for blockage..remove with brush, or wire pick. Alternatively, you can replace wax guard system with a new white tip found in your wax guard kit. 2. No sound...replace the battery, it is probably dead. 3. No sound...brush off the microphone...it is usually a little circle above the battery compartment. 4. No sound...instrument may be defective, and needs to be sent to the manufacturer. 5. Hearing aid is not dead, but, the volume is weak...clean the exit hole, and brush off the mic. 7. My hearing aid runs awhile, then stops...may be a circuit failure...make an appointment. 8. I have to change batteries too often...may be a bad capacitor, or all of the above...make an appoinment. 9. My ear feels sore after a few hours of use...hearing aid may be too tight...make an appointment. l0. My ear feels sore after a few hours of use...you may be using the wrong technique to insert, or remove the hearing aid...make an appointment. Comment: Please respect the fact that you are using high technology instruments. You should not tamper with them. If in doubt, call for an appointment.